With blood spilled at Lexington and Concord, the colonists now needed their long dreaded standing army to besiege the British in Boston. I thought now would be a good time to take a closer look at how the British and Provincial armies compared. 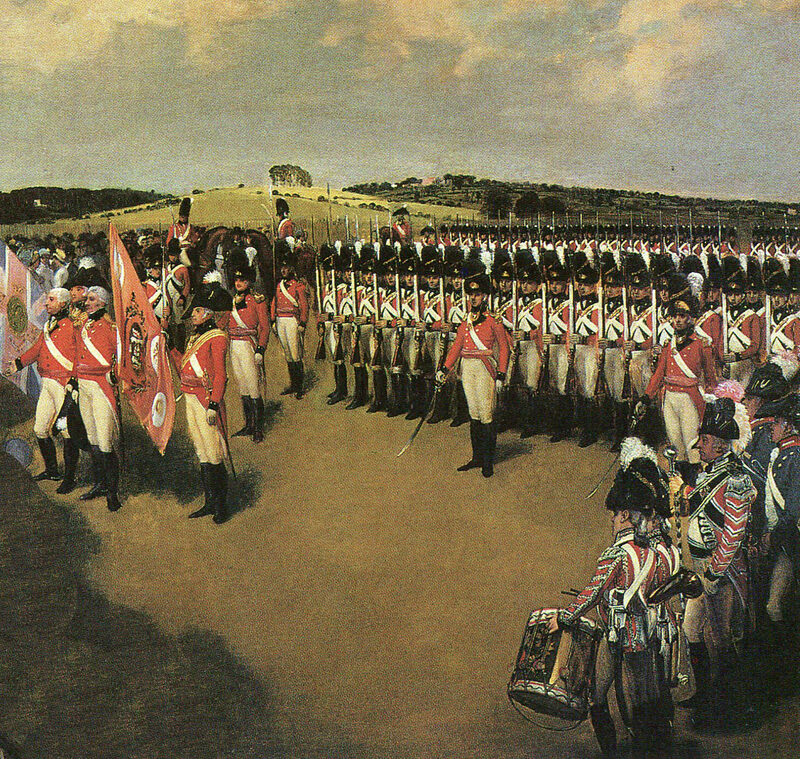 In 1775, the British military was the envy of the world. The navy probably got more respect that the army. By European standards, the army alone was not particularly outstanding, certainly nowhere close to the largest. But a long tradition of combat experience had made the army a well organized and effective force to assert British policy. 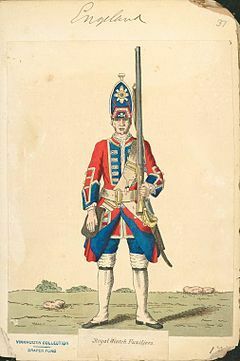 The regular army of 1775 had its roots in the English Civil War, a century earlier. Like today, the army was divided into officers and enlisted men. The divide between the two groups was even greater than it is today. Officers, for the most part, came from the aristocracy. Some officers served in Parliament. Many more had brothers, fathers, or cousins in important government positions. Most officers obtained their rank by buying them. To the modern audience, buying a military rank might seem like a form of corruption. But there were valid policy reasons for the practice. It ensured that officers were men of wealth and property, not the sort who might someday be inclined to start a revolution against the aristocracy. It also served as a bond on the officers to do their duty. If an officer behaved badly, he could be discharged from the army. He would lose his commission entirely, without the chance to sell it. Selling a commission at the end of a career could also provide a retirement bonus for the retiree. This is where we get the term “selling out” though the phrase has taken on a much more negative connotation and meaning today. The cost of a commission depended on rank and varied widely. But even for the lowest commissions, the cost would be more than an average laborer could earn in a decade. To avoid having the officer corps filled with incompetent but wealthy dilettantes, several reforms during the 1700’s tried to put some restrictions on the sales of commissions, including setting maximum prices for such sales based on the rank. 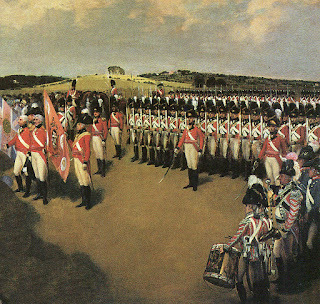 In the 1770’s an officer would typically offer the commission to the most senior officer of a lower rank in his regiment. If that officer could not afford to purchase it, the officer would sell to the next senior officer. Even with the reforms, money and connections often allowed some officers to push past their peers for faster promotion, without regard to merit. Some aristocrats even purchased commissions for their young children, so that they would have seniority by the time they were actually ready to serve in active duty. Not all officers were wealthy. Many who entered service did so because they were the younger brothers in an aristocratic family, meaning they would inherit nothing. While the family might support that younger brother’s career, his children and children’s children might also decide to enter service. As distance grew between the military line and the family line that inherited all the wealth, family support became less likely. An officer’s salary would not allow him to save enough money to buy a promotion. Many officers stagnated in junior positions of ensign or lieutenant for decades, mostly because they could not afford to buy a position in the next grade. During wartime, when officer deaths might open up a great many positions, promotion would sometimes be possible without costs. Many officers engaged in conspicuous acts of daring during battle in hopes it might get them a battlefield promotion, saving them a fortune. Top officers, full colonels and generals, did not have to purchase their commissions. Top ranks received commissions directly from the King, approved by the ministry. At the other end of the social ladder, enlisted men were considered the lowest of the low. Almost all of them came from the peasant class of unskilled laborers. A large number of them came from particularly oppressed regions including Ireland and Scotland. At this time, enlistments were limited to Protestants. Although within a few years, wartime demands allowed the enlistments of some Catholics. Large numbers of soldiers entered the ranks after being found guilty of a crime. Enlistment in the army often avoided a death sentence. Unscrupulous military recruiters enlisted many other soldiers. They would get young, naive, and often drunk men to agree to an enlistment in exchange for a small amount of money. Sometimes, recruiters would use fraud, getting a potential recruit to “take the King’s shilling” a down payment on the signing bonus for enlistment. One commonly mentioned technique would be to buy the potential recruit a beer, and to put a shilling secretly in the bottom of the mug. If the recruit drank the beer and the shilling touched his lips, that was considered to be acceptance of enlistment. In some cases, the army did not even bother with fraudulent recruitment. It simply impressed soldiers. That is essentially kidnapping. Press gangs would grab young men and force them into the army. Impressment was more common in the navy than the army, but both services used it at times. Once enlisted, a soldier typically would serve for life, although some enlistments limited terms to a mere 21 years. Occasionally soldiers who had become too old, infirm, or injured to serve in active duty would be granted dismissal with a pension. But these were small minority. Most military enlistments ended in death or desertion. During wartime, the army would sometimes recruit for shorter terms. For example, once London determined it needed thousands of soldiers to put down the rebellion in America, it recruited for three year enlistments. In today's modern military, officers typically have a healthy respect for the enlisted men serving under them. In 18th century Britain, this was most certainly not the case. With few exceptions, officers treated their soldiers with contempt, or at best condescension. However recruited, enlisted men lived much like slaves. Soldiers would do their duty and follow orders because they knew officers would punish them if they behaved otherwise. Punishments were frequent and brutal, for even minor infractions. 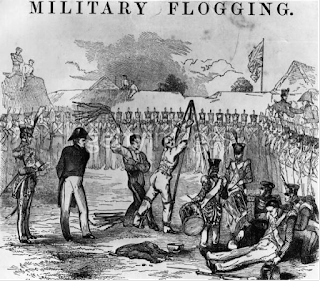 A common punishment was a public lashing, which could range from dozens of lashes to thousands, depending on the severity of the crime and the depravity of the officer making the decision. Compare this with Massachusetts which limited lashes to a maximum of 39. Colonists were horrified at the cruelty of military punishments. Officers also used other painful or humiliating punishments. It was not uncommon for a soldier to die from a punishment that was not necessarily meant to be fatal. The army also handed out the death penalty frequently and for relatively minor offenses, including petty theft. Any attempt to desert, especially in time of war, typically called for the death penalty. While commanders could show clemency and set aside a death penalty, executions were common. Pay for both officers and enlisted men was inadequate. Many officers came from independent wealth and could afford to finance their lifestyles independently of military pay. Some officers enhanced their pay by ripping off their own soldiers. An infantry private earned 8 pence a day, though soldiers never saw that much. Regimental officers would deduct money for food, uniforms, and other necessities. Regimental paymasters would deduct money for their services. After deductions, which varied widely by regiment, a private could expect to receive about 18 to 20 pence per week. That is roughly about $15 a week in today’s inflation adjusted money. In some cases, depending on officers and the duties they required, enlisted men could supplement their pay by taking jobs in the local community. Some also supplemented their meager food rations by growing their own vegetables or by fishing. Any supplemental work, of course, took the backbench to their primary duties. Soldiers typically spent about 3 hours a day grooming themselves, polishing their buttons and weapons, powdering their wigs, and taking care of their uniforms. Failure to do so could subject them to punishment. Drill, guard duty, fatigue duty, and numerous other requirements filled out their days. Leaving enlisted men to their own devices only left them time to get drunk or in fights. Looking good was of prime importance. Smelling good was not a requirement. 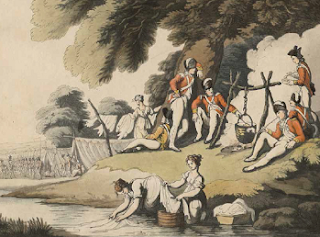 Soldiers rarely bathed, and wore the same clothes everyday. Despite having their pay docked for a clothing allowance, uniforms often had to last as long as two years before they would get a replacement. Enlisted soldiers did get married. Wives received a food allowance, but little else from the army. Many women earned extra money washing clothes, cooking food, or other domestic chores for officers or civilians. Children received a food allotment as well. However, the child's allotment only lasted until age 14. At that time a boy had the option of enlisting himself and joining the regiment as a soldier, or he would have to leave camp. Similarly a girl would be expected to get married to someone in the regiment at age 14, or she too would have to leave camp. When a regiment shipped to a new location, the army would not always pay for the transport of wives and children. For most enlisted men, this meant they would have to leave their families behind. Some records show that a regiment would sometimes transport a few wives but not all, leaving it to officers to decide which men got to bring their wives and which would be separated. If a soldier died in battle, his widow and children were often left to fend for themselves. The government often would not even pay for their travel home from enemy territory. 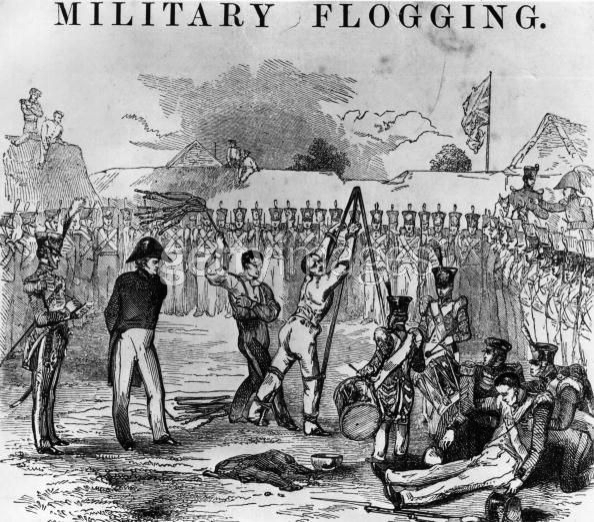 Despite terrible treatment, regulars often did take pride in their regiments. Many regimental leaders went to great lengths to remind their men of the heroic acts of those who had served in the regiment before them in prior wars. Regiments carried these badges of honor and encouraged current soldiers to live up to that reputation. Many enlisted men worked hard to earn promotion to corporal or sergeant, which provided them a little more money and prestige. Non-commissioned officers were responsible for the behavior of their men. If the private got in trouble, his NCO could be demoted back to private as well. As a result of the terrible treatment, enlisted men often did not always feel a strong patriotic loyalty to the army or Britain in general. Desertions were common, and not just for fear of battle. Many soldiers simply wanted a better life after experiencing the rigors of the regular army. Prisoners captured in battle often frequently gave up intelligence to the enemy, sometimes even agreeing to fight for the enemy in hopes of securing better treatment for themselves. What separated a professional army from others was its courage in battle. It is not natural for men to stand in line shoulder to shoulder and calmly walk forward as people shoot at them. But that was the only way to bring concentrated fire against an enemy and win the field. If a soldier fell, no one would stop to help him. Soldiers would simply close ranks and continue on. Following orders and calmly doing one’s duty under fire was possible only from months or years of drill followed by battlefield experience. Success in battle also required fire control. When someone is shooting at you, the natural instinct is to shoot back. Inexperienced soldiers would often want to fire from hundreds of yards away. The inaccuracy of muskets at that time made hitting even a line of men at that distance quite improbable. Reloading could waste 20-30 seconds. Also, stopping to fire during an advance could break up the line and lead to chaos. Experienced soldiers knew to maintain lines at all costs. They would march to just within firing range, maybe 50 yards, wait for an enemy to fire, then charge the line so they could attack hand to hand before the enemy could reload. Field officers had to lead by example. They ignored enemy fire and calmly ordered soldiers to advance across the battlefield. Showing any reaction to enemy bullets flying around one was considered an act of cowardice that would quickly turn a line of soldiers into a fleeing rabble. Officers and men standing in line, apparently unconcerned by incoming fire and returning fire at a rapid rate of three rounds per man per minute would hopefully quickly convince the other side to retreat, thus granting a battlefield victory. Modern armies attempt to adhere to the motto of “no man left behind.” Modern soldiers even go to great efforts to remove the bodies of their dead before leaving a field of battle. There was no such concept in the armies of the 1770’s. Soldiers frequently left dead and wounded behind. There was more of an effort to rescue wounded officers. But the thinking in an 18th century army was that soldiers were expendable. Compassion for a comrade in battle was a weakness that would quickly weaken the line as a fighting force. After a battle, soldiers would make some effort to help the wounded when possible. But it was not the primary concern that it is in most modern armies. The British army had no professional medical corps to tend to the wounded, nor did it have any organized religious corps for the men. After a battle, commanding officers would try to do their best for the dead and wounded. But too often, the dead and wounded simply were not a priority. The new Provincial army of New England had evolved from the British militia system that had existed since the first British colonists landed in North America. 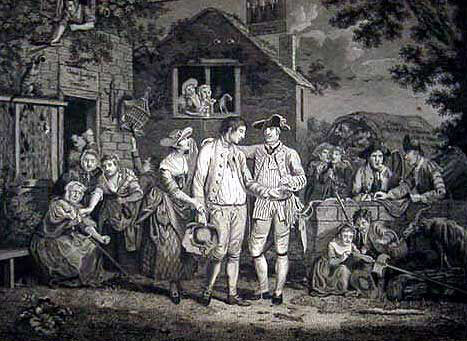 Almost all free men between the ages of 16 and 50 served in local militias. Royal governors granted commissions to officers. 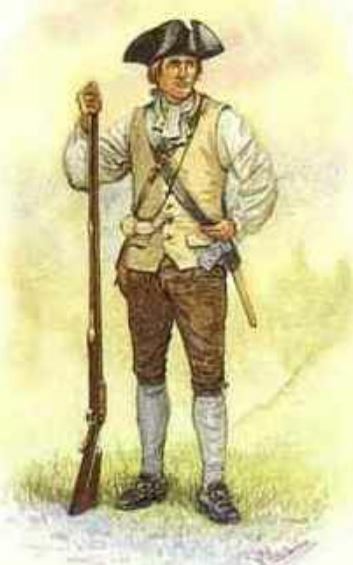 Everyone in the militia had to supply their own arms and ammunition, and usually show up for drill four times each year. In times of war, or imminent war, militia might drill more frequently. Militia would sometimes fight local battles on their own, often against Indians. Other times, they would supplement and fight alongside regulars when fighting came to their colony. Sometimes militia would travel with regulars to neighboring colonies, but this was not the norm. Militia typically remained close to home, fighting when needed and quickly returning to civilian life when hostilities ceased or fighting moved to another theater. Militia might also capture runaway slaves, or when needed in rare instances, put down a slave rebellion. At a time when professional police did not exist, militia might also provide law enforcement functions when needed, capturing suspected criminals or restoring order when it became too much for the sheriff. When the colonies began to break with Britain, they could not rely on royal governors to appoint officers. In the republican spirit of the times, enlisted men voted for their officers and NCO’s. If an officer failed to meet the men’s expectations, they could dismiss him and elect someone else. As a result, patriot officers were on much friendlier terms with the enlisted men. The men lived and worked together. An officer might be in command of his brother, son, or cousins. This made the chain of command far less certain. An officer could punish a soldier for doing something everyone thought wrong, such as stealing or shirking duty. But if the consensus was that an officer was too overbearing or exacted too harsh a punishment, he could find himself out of a job. A great many officers did not get overly concerned about presentation. Most soldiers wore civilian clothing and did not seem terribly concerned about keeping their camps, clothes, or even themselves very clean. As there were almost no women present at the siege of Boston, the men had no one to clean and sew for them. As a result, they wore clothes for weeks or months until the filthy rags literally fell off them. Some officers did require their men to maintain themselves with good appearance, but these seem to be more the exception than the rule. General officers received appointments from the Provincial Congress. By the summer of 1775, all the colonies had provincial congresses operating in opposition to royal authority. Each colonial Congress, though, had its own army. The Massachusetts Provincial Congress called for a New England Army of 30,000 to besiege Boston after Lexington and Concord, with just under half coming from Massachusetts. Three other armies, from New Hampshire, Connecticut, and Rhode Island joined the siege of Boston. There was, however, no way to force officers and men from one colony to obey orders from a leader in another. Officers had to convince units that orders made sense and were reasonable. The result was chaos. Top officers would meet in conference to try to coordinate strategy, but there was no top down command structure nor any real enforcement of discipline. Units could come and go at will. Many soldiers after a few days or weeks wanted to return home for planting season, or maybe just to get their clothes cleaned. Entire companies might decide they had better things to do and simply leave. Leaders eventually convinced a core of units to commit to remaining on duty until the end of the year. That helped a little, but many continued to come and go despite their agreement. That enlisted men thought they had a say in things proved greatly frustrating for many officers. But it also meant that the committed soldiers were there to fight for reasons beyond mere obedience to a superior. They would often fight aggressively or take their own initiative without orders. This meant that soldiers or junior officers could second guess orders that made little sense given what was in front of them at the moment. Sometimes, this could lead to chaos. But given the inexperience of many general officers, this disobedience often benefited the cause. Most units also came from the same town. Since they elected their officers, they often already had a longstanding shared respect for their leaders. Good behavior came about from the fact that your fellow soldiers were your friends, neighbors, and even relatives. A soldier would not want to develop a reputation as a coward or shirker among his peers. These informal relationships helped to keep the Provincial soldiers in line. Most New England militia had participated in at least weekly drills for the prior year, anticipating the need for a fight. As a result, the militia in 1775 were much better trained that most traditional militia, though still not as well trained as the regulars. While a more professional Continental Army would develop over time, in the spring of 1775, the small highly professional British Army in Boston faced a much larger group of amateurs surrounding them. Some Patriot officers had experience fighting in combat during the French and Indian war. Many though, had no practical experience in combat. They had drilled militia. Some had read a few books on military strategy. Very few had much if any any practical experience. What held everyone together was the shared view that they needed to stand up against British tyranny. 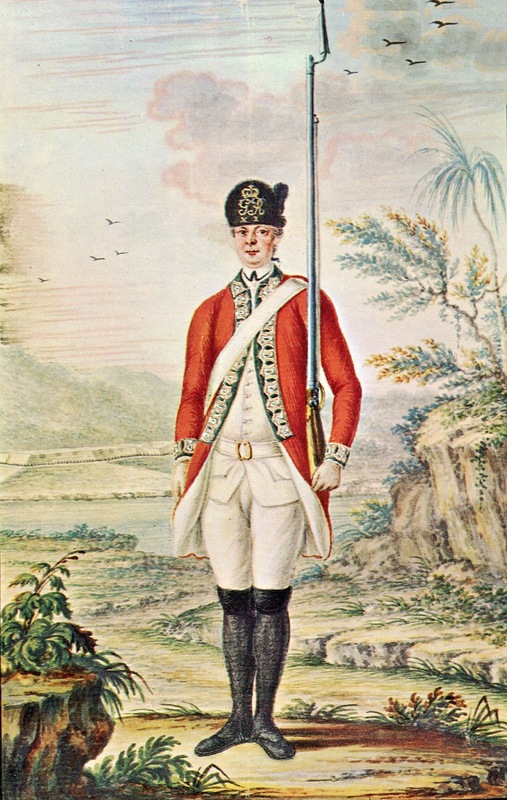 Unlike British enlisted regulars, patriot soldiers voluntarily put themselves under the command of their officers in order to further the cause of protecting their freedom. They each had a personal motivation to further the cause. Visit https://pod.amrevpodcast.com> for free downloads of all podcast episodes. Dana, Elizabeth Ellery (ed) John Barker diary - The British in Boston, 1774-1776, 1924. Frothingham, Richard History of the Siege of Boston, Boston: Little Brown & Co. 1903. Williamson, John A Treatise of Military Finance, London: The Military Library, 1796. Chandler, David (ed) Oxford Illustrated History of the British Army, Oxford: Oxford University Press, 1994. Hogg, Ian V. and Batchelor, John H. Armies of the American Revolution, Englewood Cliffs, NJ: Prentice-Hall Inc. 1975 (book recommendation of the week). Urban, Mark The Fusiliers: The Saga of a British Redcoat Regiment in the American Revolution, New York: Walter & Co. 2007. * This site is a registered Amazon Associate. Please help support this site by purchasing any of these books, or any other Amazon product, via the links on this site. If you start by clicking on a book link here and then browse to buy something completely different on Amazon, American Revolution Podcast will get credit for your purchase. August's podcasts aren't showing up on Stitcher. Thanks for the heads up. There was a problem with the RSS Feed. It should be working now.